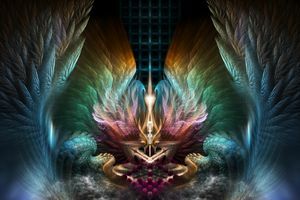 The Wings Of Light is a combination work of several of my previous fractal art composition. 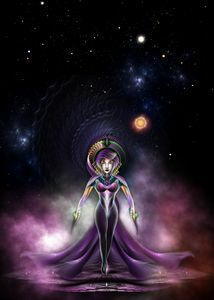 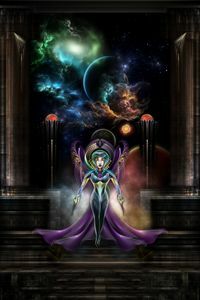 The goal of this piece was to create a scene of mystery with a touch of a gothic look to the image. 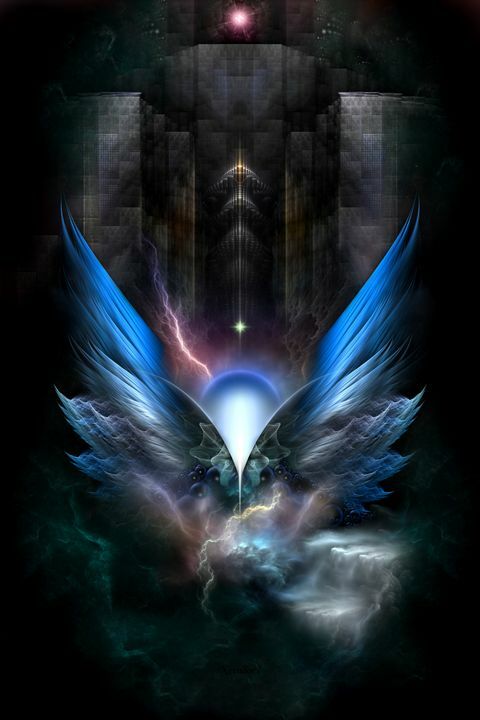 It shows a dark structure in the background that towers over a glowing orb with rising wings on either side that sits on a mix of clouds and and rocks. 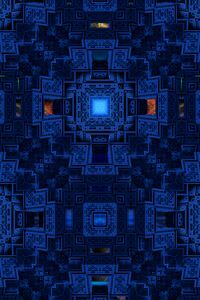 As with my previous artwork this image is composed of fractal elements; using a minimal amount of fractals to create effect. 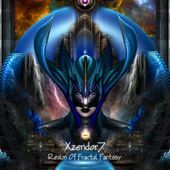 I'm a fantasy fractal artist, that uses open source fractal programs to generate fractal elements which I then combine in an image editor that supports adjustment layers (i.e. 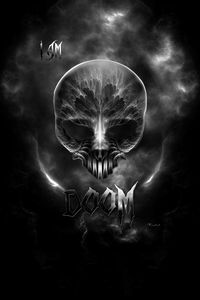 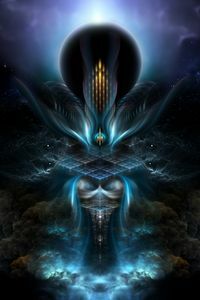 Photo Elements; Affinity Photo) to create complex fantasy scenes and portraits; some of which consist of hundreds of fractals and hundreds of masking layers. 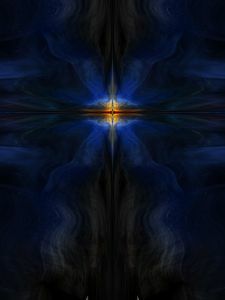 My artwork is abstract in nature even though the results do not look abstract in most cases, because so many different fractal are used in creating a piece of art. 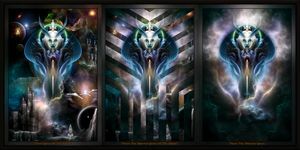 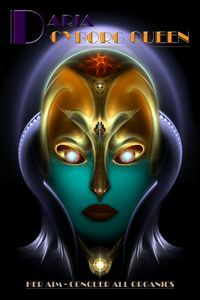 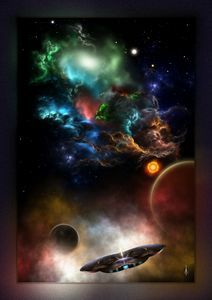 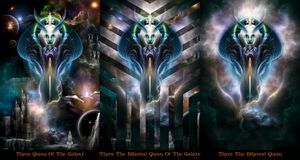 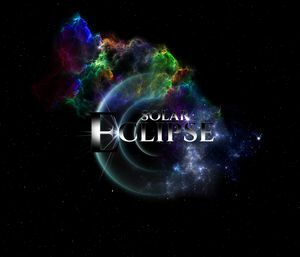 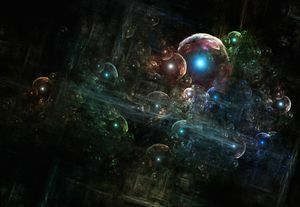 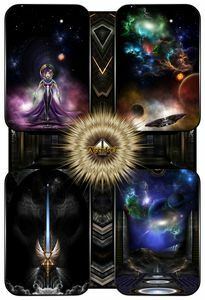 Some images can be completed in a 12 hour time frame, while others can take several months to complete; such as the fractal portrait and spacescape scenes.